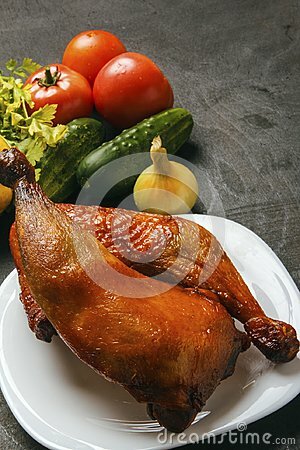 Chicken legs roasted on a barbeque and fresh organic vegetables on a black background. Copy space. Natural food.